I cross the narrow bridge over the slow-moving canal and enter Los Mangos, the clinic moving into view as I round the corner. Already there are patients waiting lined up on the sidewalk, ready for the day to begin. We open the door, organize everyone in the waiting room, the outreach participants arrive, and the day begins. Each day is full of interesting medical cases, full of teaching opportunities, full of moments to grow. For Brendaliz and for me, each relationship we have the privilege to develop is a gift, both with the patients and with the students who come to work with us. Each one of those relationships is rewarding, and we see God bring much fruit out of the conversations we’re able to have. But for me personally, some of the most rewarding relationships I have are with our two young assistants. 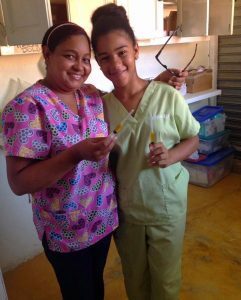 Keisy started working with us near the end of last year and came to know of the clinic through her grandparents, who are long-standing patients of ours. She is 12 and wants to work in medicine when she’s older, either as a doctor or a nurse. She’s always ready to do anything you ask. Héctor started working with us at the end of the summer, and he first learned of the clinic through his younger sister, who was a patient in the clinic this summer, but he continued coming back each day so that he could practice speaking English with the American students. 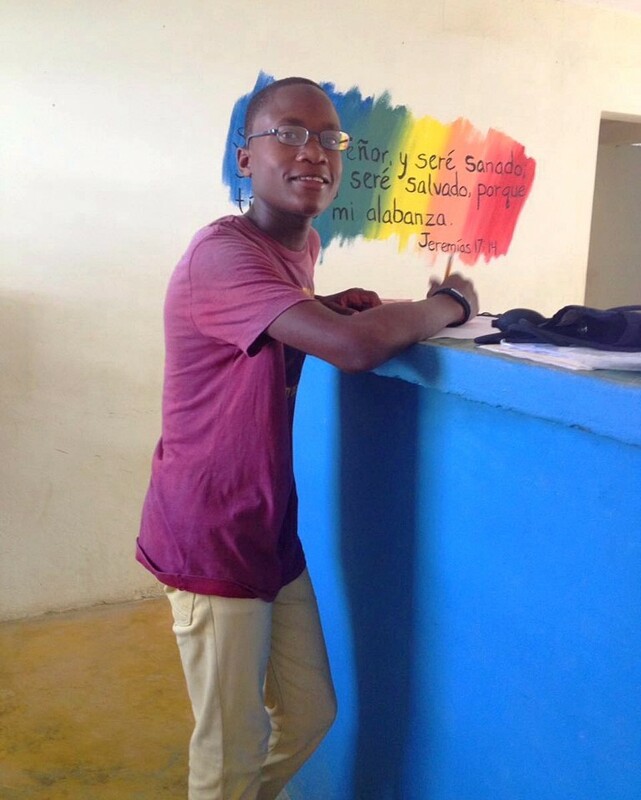 He is 14, and desires to be a doctor someday and says he wants to work with us and help us as a doctor. Each one of them is intelligent, eager to learn, hard working, and so dear to us. We teach them about taking patient medical histories, how to assess lung sounds and skin conditions, and about giving injections and good wound care. But above all, we teach them the word of God and the life of Jesus and model for them what it means to live a life in service to Christ. I pray that as they grow into adults, they won’t forget the lessons they learn with us, but that they would grow into a strong woman of Christ and a strong man of Christ, ready and prepared to bring his light to the rest of the world. Please continue to pray for us as we serve the community and disciple our young assistants.